I build highly optimized and Google-friendly websites for clients across the globe. I’m an experienced digital marketing strategist with a strong track record of delivering results that help entrepreneurs, digital businesses and non-profit organizations attract new leads and improve their visibility online. I’m skilled in digital strategy, search engine optimization (SEO) and web development for businesses and e-commerce brands. Hi, my name is Bashar, and I can’t wait to meet you! 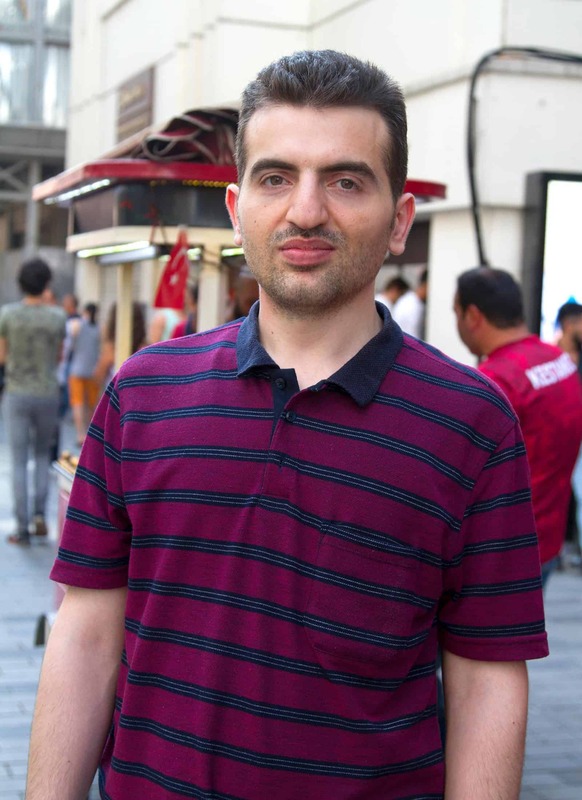 I was born in a small city called Hama in Syria and I am currently based in Istanbul, Turkey. My work involves helping non-profits and entrepreneurs build their online presence and achieve their business goals through digital strategy, SEO and web development. I graduated with a BA/BSc in Information Technology Engineering from the University of Kalamoon in 2011. Since then, I have worked for companies in Dubai and Istanbul, allowing me to feed my lifelong passion for all things digital and continue developing my skills as a web developer and online marketer. I am highly skilled in helping businesses increase their online visibility and get found by their target audiences. I believe that all businesses need someone like me., why? because every business needs a digital native who lives, works and breathes this huge network called the Internet. As somebody who has grown up online, I can help you spread the word about your business or coach you on how to take advantage of digital tools like search engines and social media. These days, marketing through online channels and establishing a strong digital presence are paramount to building a successful business. I view my clients as partners and I work hard to help them be the best they can be online. 1- Built a website and online shop for a non-profit and optimized it to rank on page #1 of Google search for many competitive keywords related to the business. 2- Helped a non-profit raise more funds through a digital marketing strategy that increased online visibility and leveraged social media to achieve their business goals. 3- Migrated and optimized the e-commerce website of a fashion business on a low budget and provided bespoke training to the business owner so they could manage the online shop effectively. 4- Created a specialized website for a female business coach and optimized its content, taking advantage of my SEO skills to help her rank higher on Google. Animals welfare is very important to me. Animals are our friends, they share this planet with us. Just because they can’t talk doesn’t mean they don’t feel the pain and suffering. It’s very important that we teach future and current generations to treat animals humanely. It’s expected in the future that we won’t need to eat animals any more, but I can see that we can stop eating them from today. I’m trying to do that and I encourage everyone to do so. Tails of Istanbul is a volunteer group helping stray and disabled animals in Istanbul. I’m volunteering with them, please click on the logo above to visit their website and consider supporting this cause. Just because they came to this world with a disability doesn’t mean they shouldn’t live a normal and happy life. The more fortunate of us should help as much as we can. Enham Trust, a UK charity that over the course of nearly 100 years have supported over 250,000 disabled people throughout the UK to live the lives they chose, as independently as possible. I encourage you to support this charity and any charity that helps the disabled. Click on the logo above to visit their website. Globally, women are a marginalized and often victimized population. Women in some countries enjoy more rights and freedom than women in other places, but across the board, they generally do not possess the same social and political power as their male counterparts. Efforts to empower women can take many forms. Some organizations focus on providing economic resources to impoverished women, and others focus on teaching women valuable skills. All of these efforts are valuable contributions to the empowerment of women.